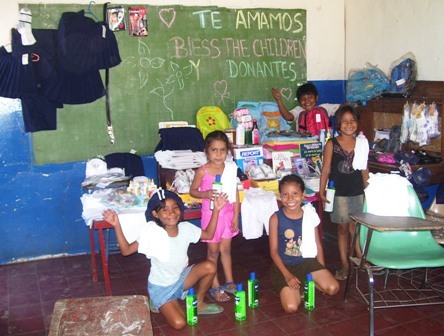 All the children assisted by Bless the Children are either abandoned, orphaned or living under extreme poverty. They are at risk of becoming street children, prostitutes, child laborers or slaves. Our job is to help change their conditions so that they can grow to help themselves. You can be the solution to what you want to change in the world. Our many programs have touched the lives of hundreds of thousands of children in Eastern Europe, Russia, former republics of the USSR, the United States, Africa, China, Central and South America and the Caribbean Islands. Our vision is for all children to have the opportunity to get an education so they may grow to be independent and not victimized by the poverty they were born into. 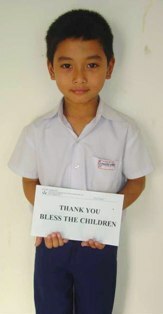 "Bless the Children remains in my daily prayers. My continued thanks for the work you...do every day to bring some hope to the hopeless." M.B. Donate Now to help a poor child!